Chinese New Year is the most important celebration in the Chinese calendar. And the Chinese year 4712 falls on January 31, 2014. 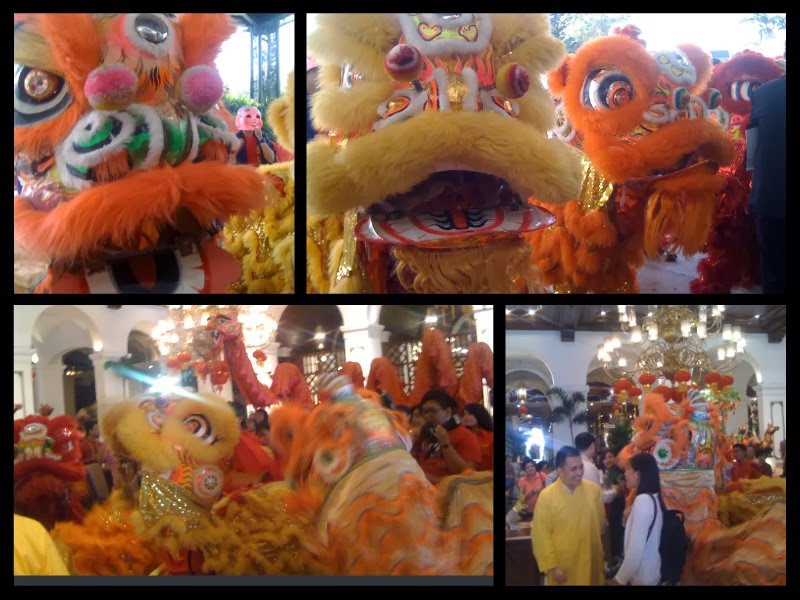 The Manila Hotel welcomed the 2014 Lunar New Year Celebration with a Dragon Dance! The Dragon Dance is anticipated event of the traditional Lunar New Year celebrations as Dragons are believed to bring good luck to to people. There was also the ceremonial painting the lion and dragon's eyes, nose and eyes for peace and prosperity. In the Year of the Wooden Horse, it is believed that they will empower us to take the reins of financial security and prosperity. "The Manila Hotel has been home to many important traditions celebrated by Filipinos, including Chinese New Year. We ensure that our patrons leave our halls with a smile on their faces because of the memories they create and relive whenever they step inside the Hotel," said Manila Hotel Executive Vice President Dr. Enrique Yap, Jr.
"Aside from welcoming the Year of the Wooden Horse with best wishes and hopes for everyone, the Chinese New Year has always been a symbol for new beginnings and of grander visions of things to come. We hope to surpass our guests' expectations this 2014 as we remain faithful to our commitment of world-class service. Manila Hotel offers the Imperial Chinese New Year room package for as low as P10,408 per night. The special Chinese New Year Set Menu offer at Mabuhay Palace (P3,000 pax) runs until February 12, 2014. Bring your family and friends to this exciting and unique cultural experience which you can only find at Manila Hotel! Very exciting to attend this kind of event, for sure everybody enjoyed and more fun.